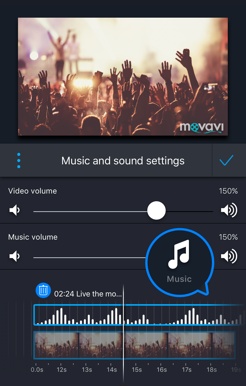 Create beautifully crafted movies right on your mobile device with Movavi Clips – a simple video editor for iPhone and iPad. 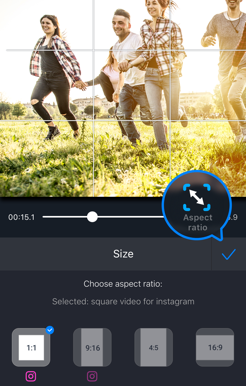 Easily cut and join clips, remove unwanted fragments, add transitions, speed up and slow down videos, add musiс – now everyday videos can become memorable films you’ll want to watch again and again. Ready to make your own movie? 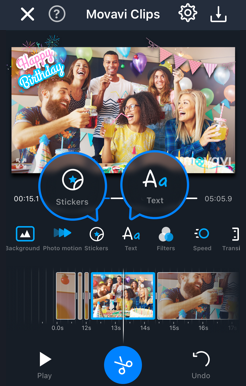 Grab our iPhone video editor from the App Store for free and let’s get started! 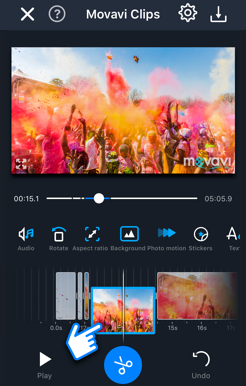 If you’re looking for good iPhone and iPad video editing software, look no further – Movavi Clips is just what you need. Get Movavi Clips in the App Store for free and start making outstanding movies! Want More Video Editing Tools? 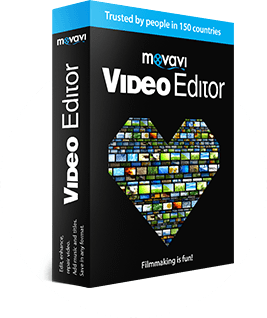 If you want to create and edit truly professional-looking videos, try Movavi Video Editor for PC or Mac. This software brings you the best and broadest set of tools to help you make amazing movies: stylish effects and filters, cool transitions, animated titles, and much more. Try it for free today!